All 340 uBreakiFix stores across North America can now replace customers' busted Pixelbooks with brand new units, allowing downtime to be restricted to just one day. Specifics on pricing weren't discussed, with the press release only stating that it'll be "well below the cost of purchasing a new laptop directly," and that "replacement pricing structure is tiered, based on the extent of the damage and technical specifications of the device." For what it's worth, uBreakiFix will repair a Pixel 2 screen for $149.99 USD and a Pixel 2 XL screen for $219.99. You can find the nearest uBreakiFix location via the company's website (it might come in handy if you ruin your Pixelbook). ORLANDO, Fla., Nov. 27, 2017 (GLOBE NEWSWIRE) -- uBreakiFix, an industry leader in electronics repair, today announced a new partnership with Google focused on providing replacement devices for Google Pixelbook customers. Customers seeking a solution for out-of-warranty repairs will be able to replace their laptops at any uBreakiFix location across North America. This will allow customers to be up and running with a new laptop next day, at a fraction of the cost of buying a new laptop directly. 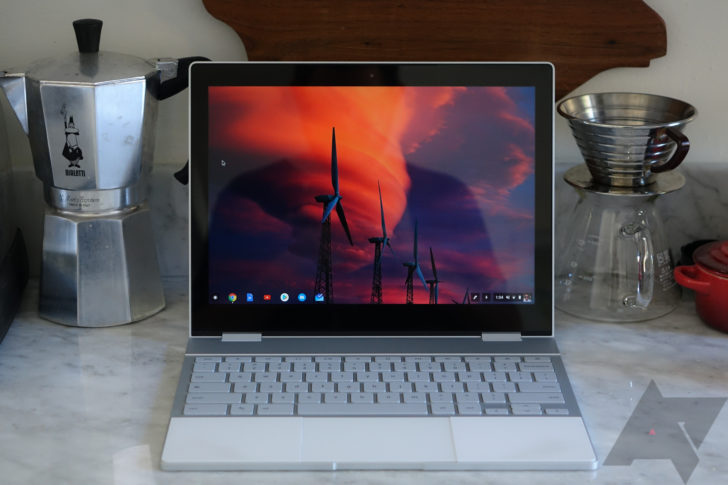 Google’s Pixelbook launched on October 31 and combines coveted features of modern laptops, smartphones and tablets, and is the first laptop with Google Assistant built in. The Pixelbook is built upon the desire to integrate the customer’s favorite mobile apps, which can be downloaded through Google Play. At only 10.3 millimeters thick and 1.1 kilograms, it features a 4-in-1 design, allowing customers the versatility and portability they expect from today’s devices. Since 2016, uBreakiFix has served as the exclusive walk-in repair option for Google’s Pixel, Pixel XL, Pixel 2 and Pixel 2 XL smartphones. Stores are offering special pricing for Google customers, with Pixel 2 screen repairs for $149.99 USD, and Pixel 2 XL screen repairs for $219.99 USD. Customers can also search the uBreakiFix website for their nearest location and to mail their devices in for repair. In addition to walk-in repairs, customers who purchase Google’s preferred device protection plan can also get their phone serviced through all uBreakiFix locations when filing a claim. uBreakiFix specializes in same-day repair service of small electronics, including mending cracked screens, water damage, software issues, camera issues and most other technical problems in its stores. uBreakiFix was founded in 2009 by savvy millennial duo Justin Wetherill, a 2017 Forbes 30 Under 30 honoree, and David Reiff, who married their skillsets with Eddie Trujillo to offer a brick-and-mortar alternative tech repair option that was quick, affordable and provided a quality customer experience. By filling a gap in the repair marketplace, the company has grown organically without debt, investors or consultants. With more than 340 stores in operation across North America, uBreakiFix continues to grow and expects to have more than 360 locations by the end of 2017.